Jacob taps the desk impatiently as he waits for his e-mail client to finish logging in. He considers another cup of coffee to ward off the night chill, but his nerves already have him on edge. ...His nerves, and the people who ransacked his office and have been trying to kill him. He hopes they haven't cracked into his e-mail account yet. The friendly chime of his e-mail client is echoed by the door chime as a new customer enters the cyber-cafe. Jacob watches with a sinking feeling as the man surveys the room. Their eyes meet, and the stranger's eyes momentarily widen. In an explosion of movement, both men reach for their weapons. All maps are created by an architectural drafter using AutoCAD. 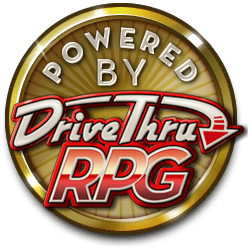 This gives all of the maps the realistic feel that your players crave. Grab a copy of Modern Floorplans: Average Cyber-Cafe' today, and keep an eye out for future releases! This floorplan works well as both a cyber-cafe or a coffee house. 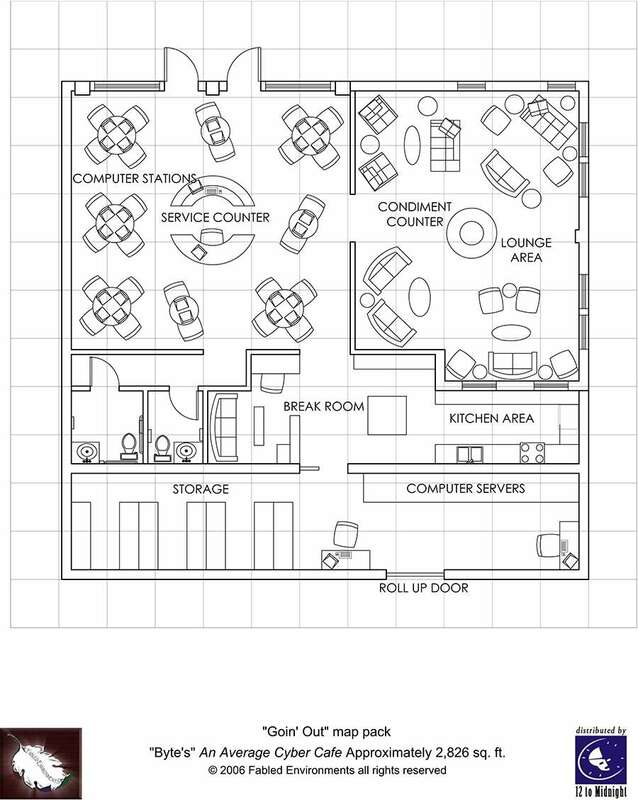 The floorplan includes spaces for computer terminals, a lounge, coffee bar, kitchen, computer server/storage, delivery area, and more. This title was added to our catalog on May 10, 2006.